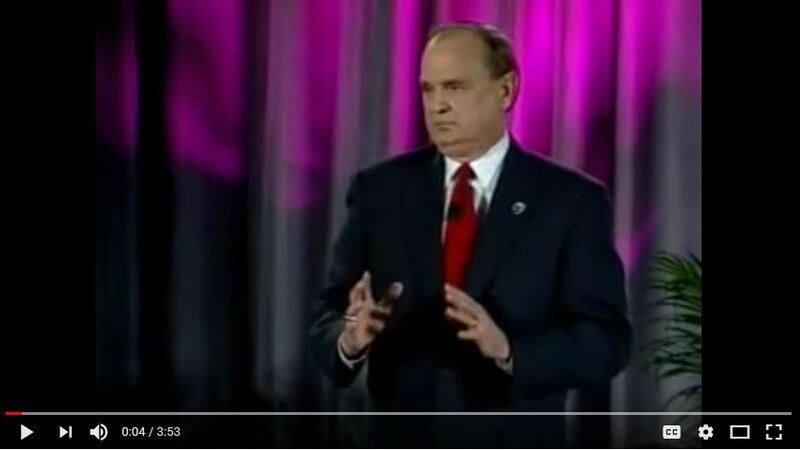 Maybe it’s just me, but I have always been told that most things happen out of fear and greed, and my experience in the electric utility industry is that more often than not, fear is the basis for most utility actions … perhaps rightfully so given how bad public opinion can hurt when you fail to live up to expectations. So, it was a bit of a surprise to me that Wall Street monitors these in the markets as an index. Read it for yourself. Then, consider where this index is right now … up against the greed limit … it can’t get much higher. 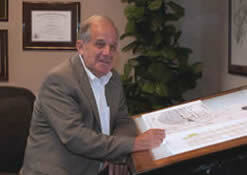 I wonder if we could track the mood in the utility industry the same way? I think we can certainly all agree it is not pegged against this limit by any stretch of the imagination. So what emotion is driving the market now? 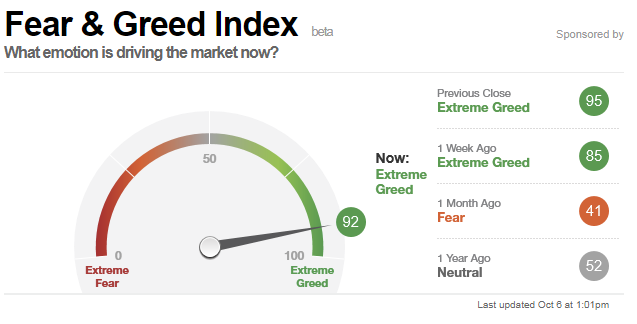 CNN Money’s Fear & Greed index makes it clear. For each indicator, we look at how far they’ve veered from their average relative to how far they normally veer. We look at each on a scale from 0 – 100. The higher the reading, the greedier investors are being, and 50 is neutral. Then we put all the indicators together – equally weighted – for a final index reading. When the S&P 500 (SPX) plummeted to a three-year low on Sept. 17, 2008 – the height of the financial crisis — the Fear and Greed index sank to 12. The index gained some ground to 28 before stocks finally bottomed out on March 9, 2009 and the latest bull market began. Most recently, in the first quarter of 2012, stocks staged their best run in decades, and the index showed pure greed. Columbus Day No Longer Remembered? My worst subject in high school and college was history. Perhaps it was the way it was taught … lots of dates and details that just seemed to be disjointed in my mind. Well, there was one that I did and still do remember … 1492 … the date given to Columbus discovering America, even though he really didn’t do that. It was years later that I was informed that he was probably not the first to discover America. He was just the first to get credit for discovering it. Then, I was to learn that what he did was not so honorable to keep him in the book of great sailors like Magellan and others. Now, the balance of the story has shifted so significantly that there is a serious movement to remove him from the history books with any degree of greatness. In fact, the mood right now is to condemn him for all the wrongs done, even though they were not wrong in that day and time. View the story on USA Today. It took a long time for the Catholic Church to apologize about how they treated Galileo. It took a long time for us to abolish slavery, or at least make it unlawful. What we seem to fail to do is to learn from history, so we are doomed to repeat it. 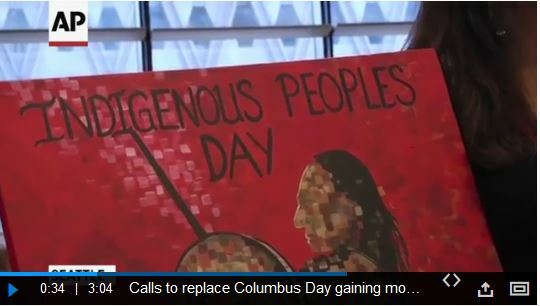 Posted on October 12, 2017 Author kmorrisLeave a comment on Columbus Day No Longer Remembered? Well, as my wife Susan has always reminded us … there is a fine line between customer engagement between caring and creepy … we are all super sensitive to our invasion of privacy. It always strikes me how blatantly commercial people can be when they forget Susan’s warning. 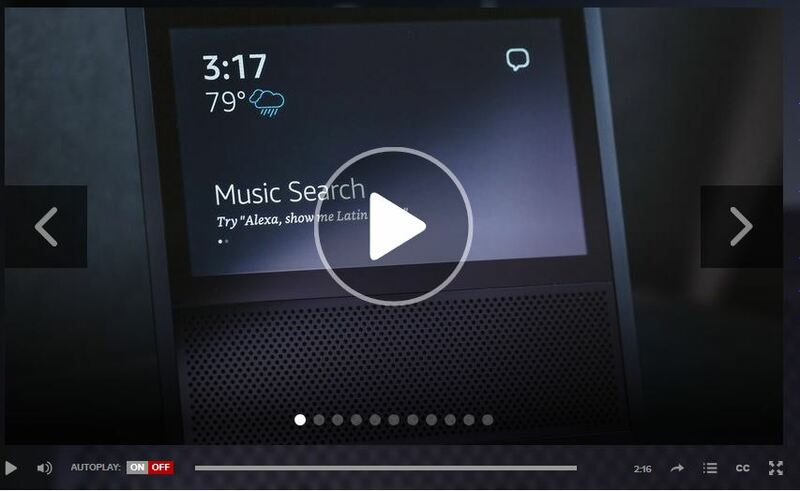 If you go on the Amazon website for the Show device and watch the video you will see the caring part. But, they forget that in the actual use cases as customers live with the device. I am sure you will see the news media stomp on Amazon for the potential invasion of privacy … it will not be pretty to watch.